Hypnosis is the most effective way to quit smoking, according to the largest ever scientific comparison of ways to break the habit. Willpower counted for very little says the “New Scientist”. How does Hypnosis work? I use hypnotherapy techniques to help change your thinking patterns and to gain control over your habit. All in a way tailored for you. By targeting the unconscious mind with powerful suggestions, hypnosis can help you to develop new, positive ways to help you quit smoking. TV star Ellen DeGeneres –With a family history of cancer, she described her hypnotic success as a life-changing effect. 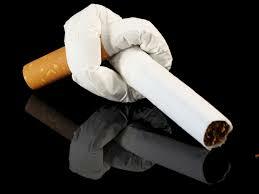 According to the NHS, one in two smokers die early from smoking. It can lead to serious and life-shortening illness. These may include various cancers; heart disease; strokes; emphysema, chronic bronchitis. It’s never too late to benefit from stopping. Quitting smoking not only adds years to your life, but it also significantly improves the chance of a healthier and happier life, especially as we age. Other health benefits of quitting smoking include assisting the immune system, and thus giving more protection to fight colds and flu, and other illnesses. For mums-to-be that smoke during pregnancy, they are at risk of having a baby with a low birth weight. The effects can sometimes damage the fetus. I can even lead to the baby being spontaneous aborted (miscarried). E-cigarettes are NO better than regular smoking, Devices can ’cause cancer even when they’re nicotine FREE’. E-cigarettes were designed to replace conventional cigarettes. But, a new study found that e-cigs are ‘just as unhealthy’ as cigarettes. E-cigs were found to cause cancer – even when they don’t have nicotine. They contain toxins that can spark tumour growth. This study adds to the growing evidence that e-cigs cause health problems. Did you know: “Alternatives to smoking, such as e-cigarettes, smokeless tobacco, and waterpipes still contain the addictive chemical nicotine, in addition to other chemicals.” (www.cancer.net) It therefore raises concern that smokers will become complacent with smoking. Why not resolve to stop altogether – hypnotherapy can help! The NHS website is a useful source of information on health issues centered around giving up smoking.